Dragon’s Nest will now play host to level 35 Elites. During a special State of the Game address where community managers Hamish Bode and Yannick Banchereau fielded questions in real-time from players of Tom Clancy’s The Division, it was noted that the Heroic version of Dragon’s Nest, the new Incursion in the Underground DLC, will be live today for all players. 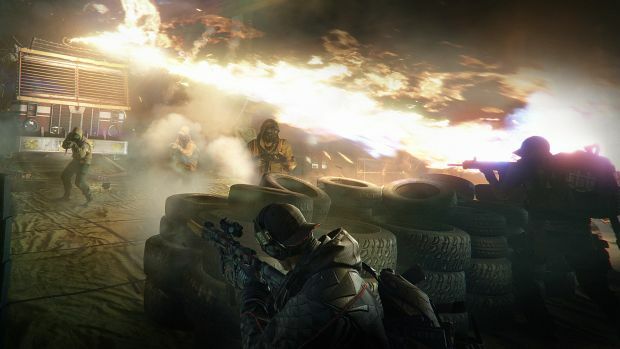 The new Incursion features the Cleaners as the primary faction and is the developer’s biggest Incursion till date with multiple sections and two big boss battles. Complaints of loot and RC cars with napalm aside, the mechanics of Dragon’s Nest were met with above average praise – at least much more so than Falcon Lost. The new Heroic difficulty will add level 35 Elite enemies to the mix and it should be interesting to see how players overcome the challenge, especially given the overpowered state of flamers in the game. What are your thoughts on Tom Clancy’s The Division and the Underground DLC thus far? Let us know in the comments below.